Multi color cotton panels with 6 yard circle skirt ..bottom of skirt is Gamathi embroidery designed ..
you can suggest colors for pannels of skirt. 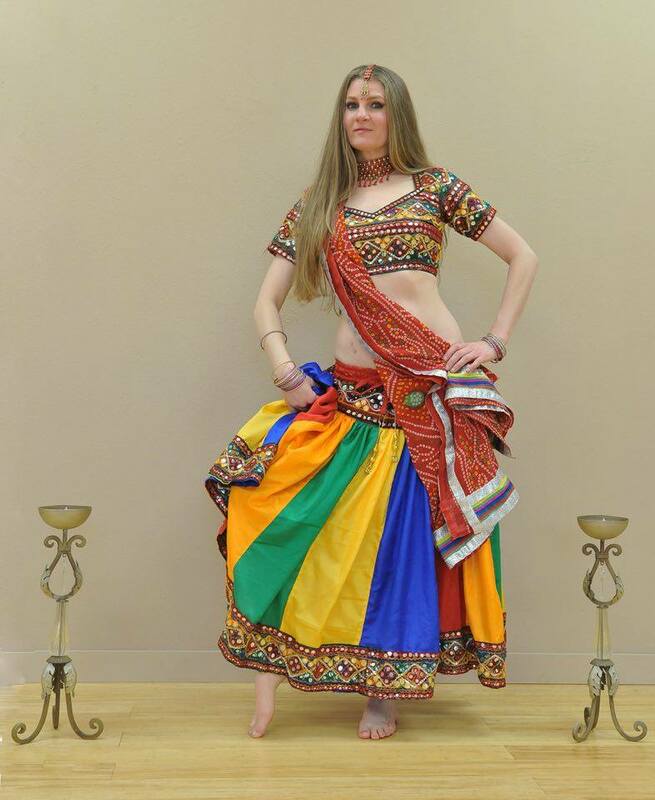 We design custom makes this Banjara costume. This costume will be made to order with your size. no extra charges for plus size.